Just a quick reminder that there's another couple of pieces by me on eBay this week. 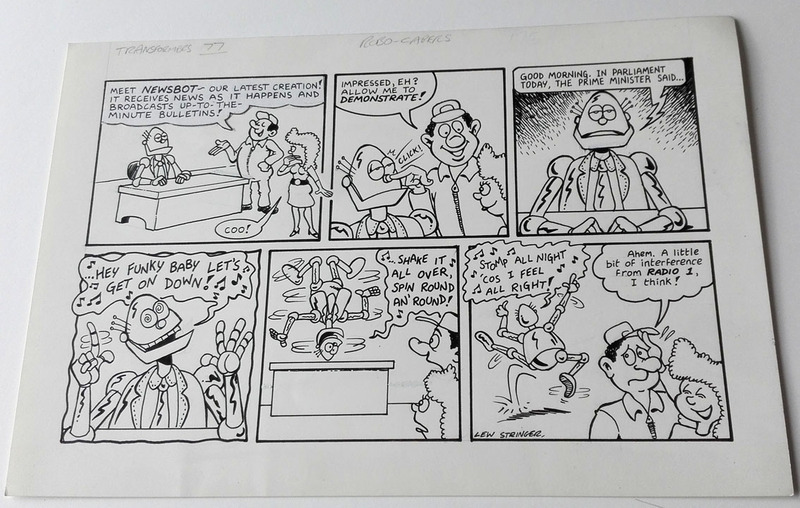 Original artwork with a new Tom Thug drawing and a Pete and his Pimple page from 30 years ago. All bids welcome! 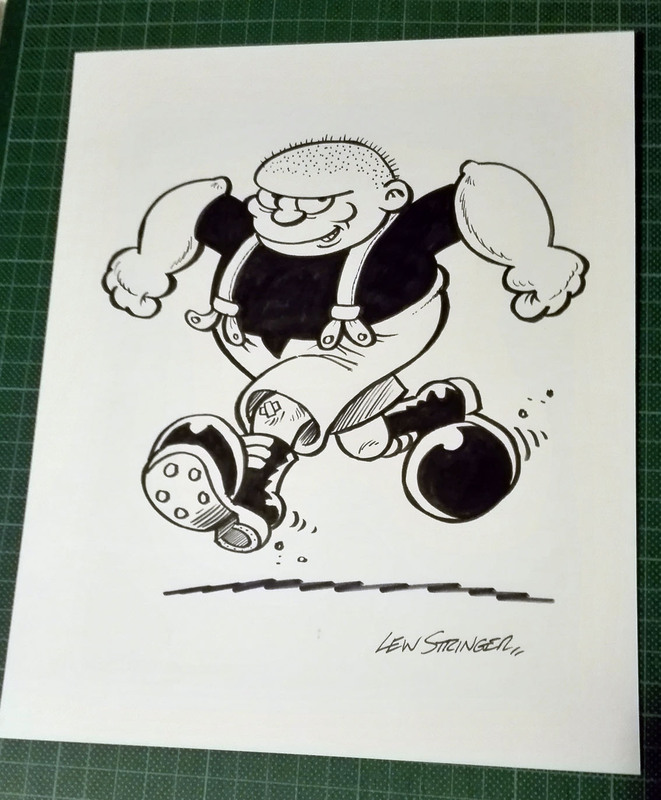 More info on my eBay page here. Good luck if you're bidding! I mentioned the other week that Rebellion has produced a Faceache T-shirt, well now there's another one showcasing Ken Reid artwork. 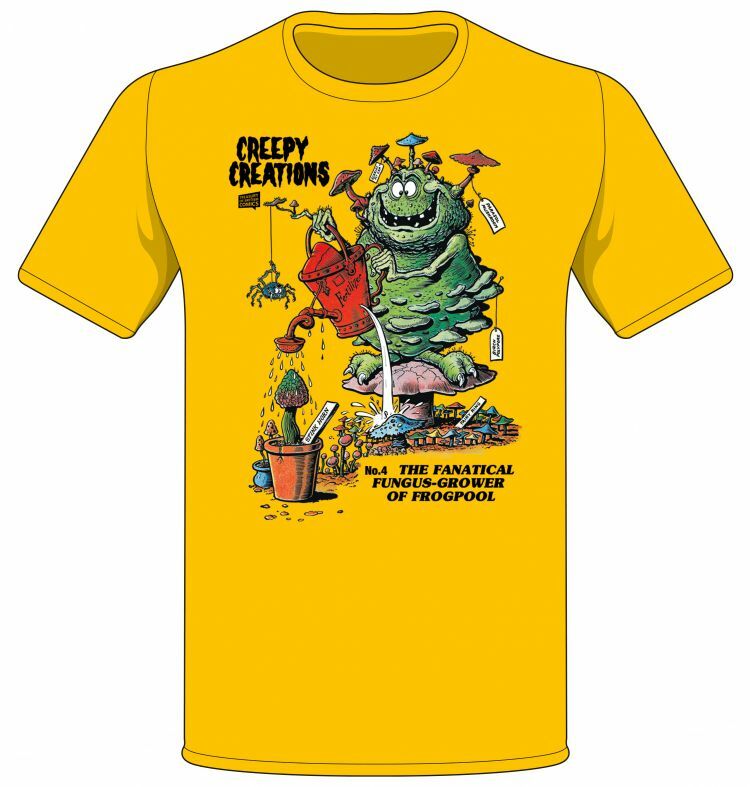 The Creepy Creations T-shirt features The Fanatical Fungus-Grower of Frogpool, a fantastic monster that Ken drew for the back cover of Shiver and Shake No.4 back in 1973! Recently, readers were invited to vote for which Creepy Creation should appear on a T-shirt and the Fungus-Grower won. 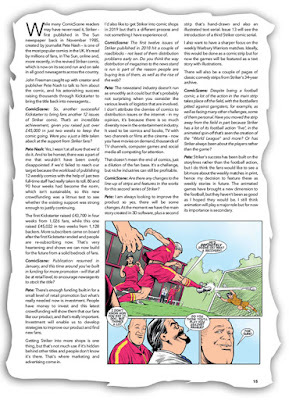 Deservedly so, as it's a smashing piece of artwork by Ken at his best! 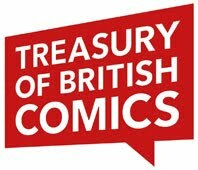 ...and of course the whole range of books and specials from The Treasury of British Comics! 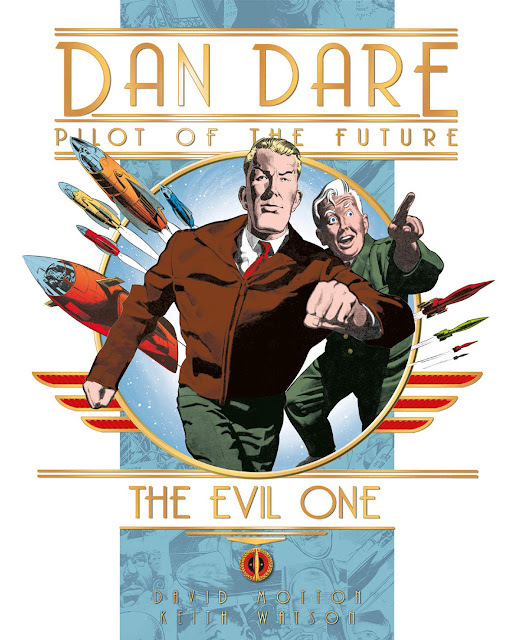 First published in Eagle in 1962, The Evil One is a story in a new collection of Dan Dare tales to be published by Titan Books this September. 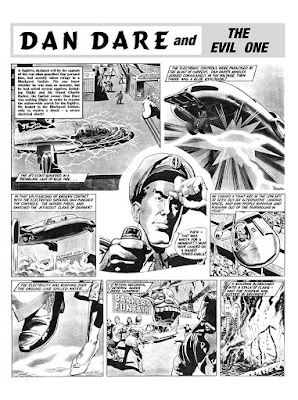 This is from the era when Dan Dare had been relegated to black and white inside the comic. 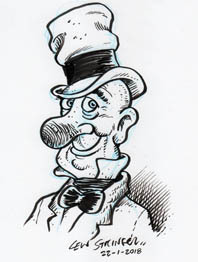 A far cry from the character's glory days in the 1950s when he was prominent on the front cover in full colour every week. 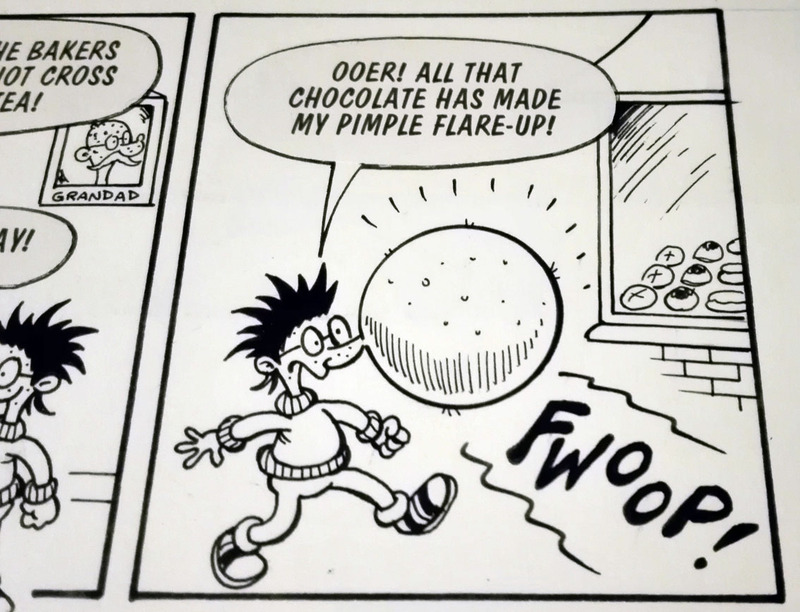 The Evil One sees Dan and his loyal sidekick Digby encounter an alien fugitive... in Blackpool! 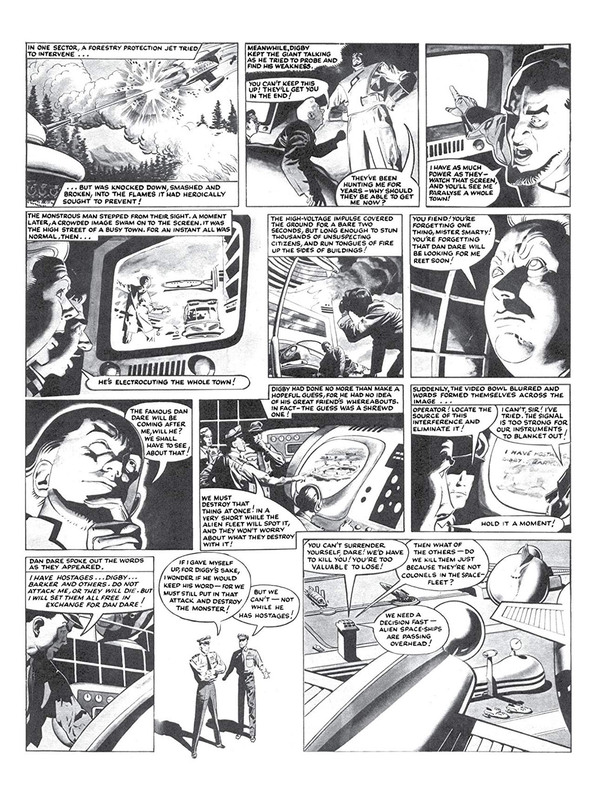 It may not sound like Dare's finest hour but the artwork by Keith Watson is top class and the script by David Motton is suitably entertaining. 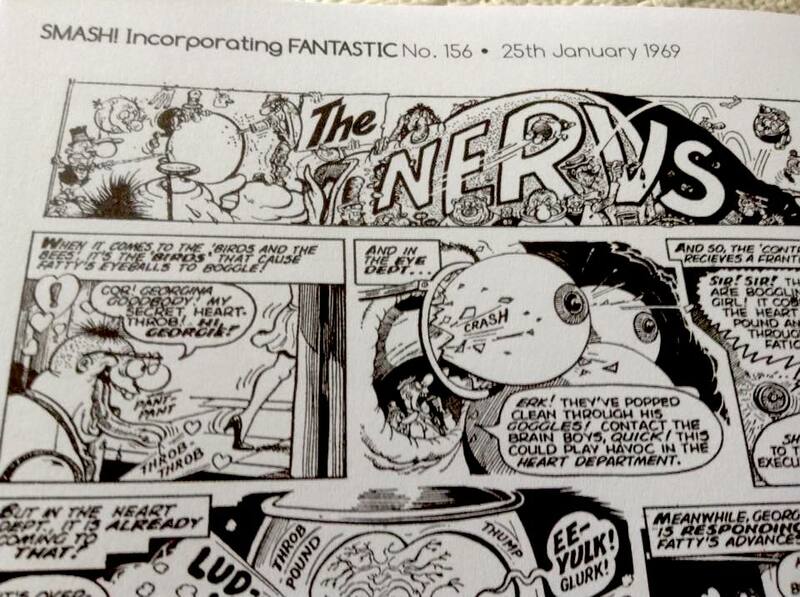 As these strips have never been reprinted before they're sure to be of interest to fans of the series! With Titan's Dan Dare books and Rebellion's numerous Treasury of British Comics collections we're living in a golden age of British comics reprints! Editor and publisher Tony Foster has given us an advance look at the cover to Comic Scene No.2, which goes on sale next month. 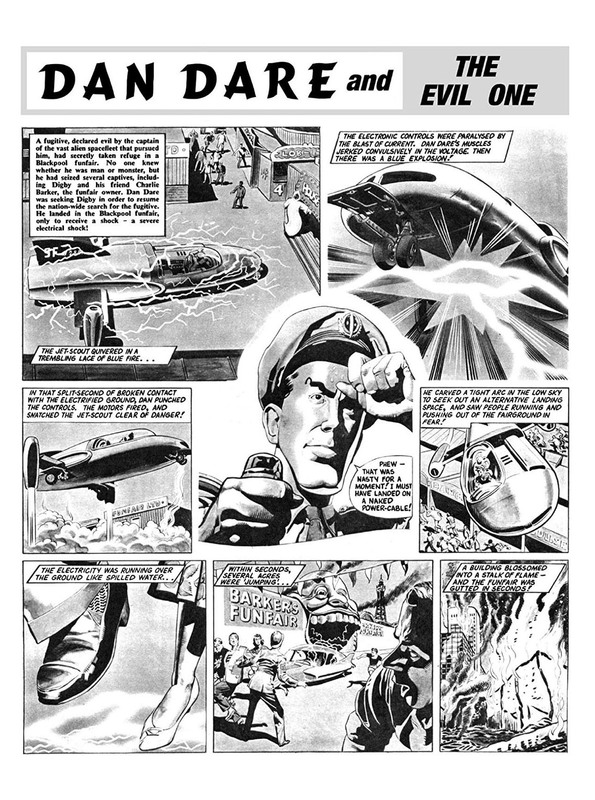 Amongst its many contents there'll be features on Marvel UK, the 2000AD version of Dan Dare, comics conventions, and a new column written by me. 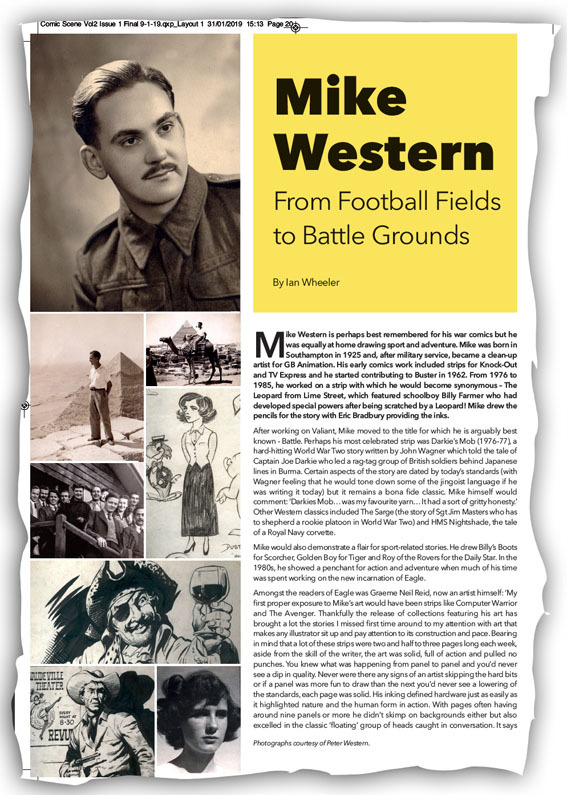 My article will be part of the new Corker! section and will focus on British humour comics. Basically it's bringing an element of Blimey! 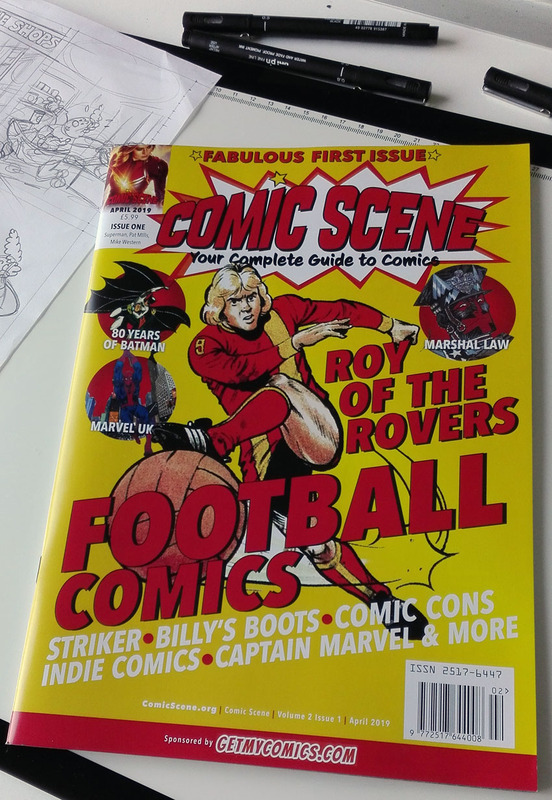 into print, so although this blog is being updated far less than it used to be you'll still be able to read articles by me in the pages of Comic Scene instead! 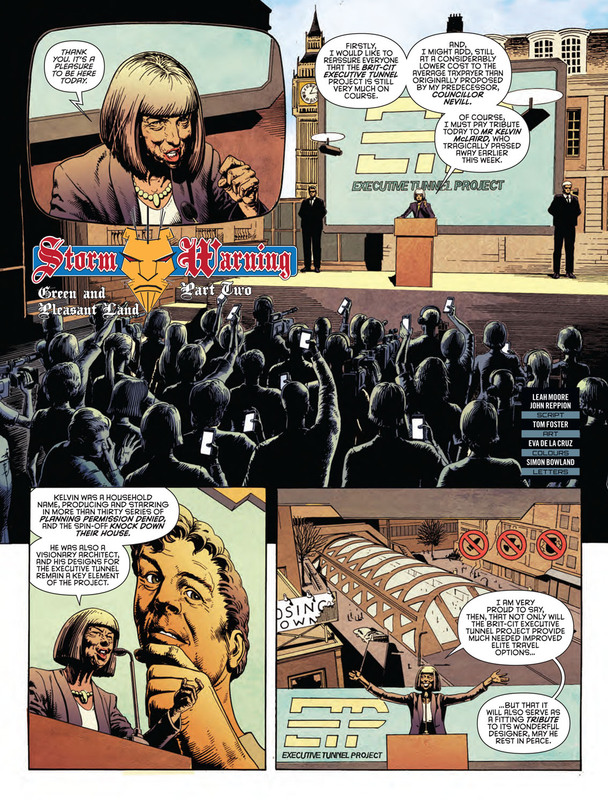 Remember that Comic Scene Vol.2 No.1 is in the shops right now! 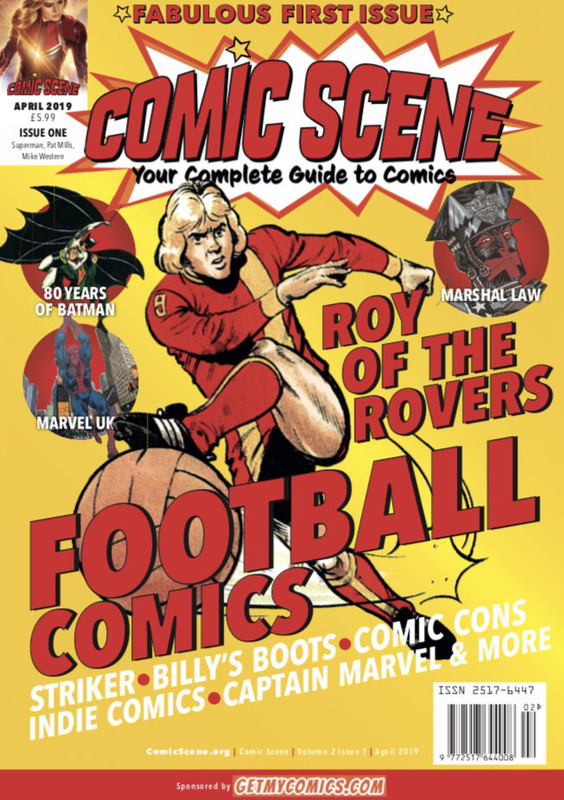 A great issue featuring 12 pages of features on football comics plus loads of other features including articles on Mike Western, Batman, Marshal Law, the early days of Marvel UK, indie comics, and much more! You'll find it in WH Smith (next to SFX, 2000AD, etc), selected branches of Sainsbury, Easons, and McColls, and comic shops across the UK. 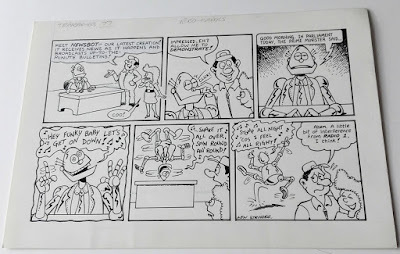 As several people have been asking me if I have any of my original Robo-Capers strips for sale, I've put a couple on eBay this week. I don't have many left now so when they're gone, they're gone. (Unless the buyers resell them in the future of course.) 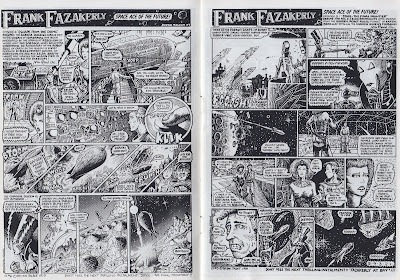 Some of my earliest published work! 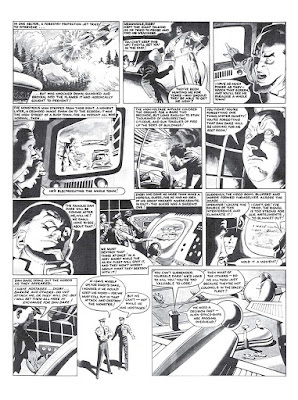 Robo-Capers was a humour strip I created for Marvel UK's The Transformers comic and ran there for about three years in the mid-1980s until it was replaced by Combat Colin when Action Force merged into Transformers. 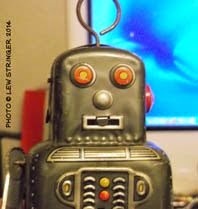 People have often asked me ion I'll be publishing a Robo-Capers collection. 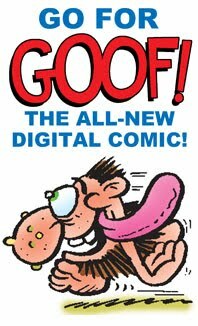 I'm afraid not, as the rights are still held by Marvel (and I can't see them publishing a humour book anytime soon). Admittedly I haven't posted about girls' comics very often here. Not because of any irrational dislike of them but because I haven't read that many. 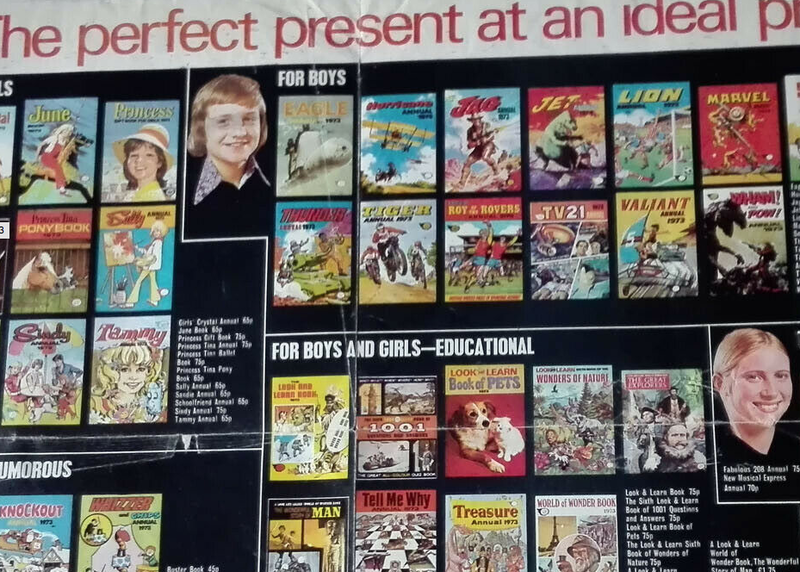 As a boy growing up in the 1960s it just didn't occur to me to read comics for girls, and as I didn't have a sister we never had such comics in the house. Later on, I guess I assumed the stories were just based around romance and ballet and wouldn't have any appeal. 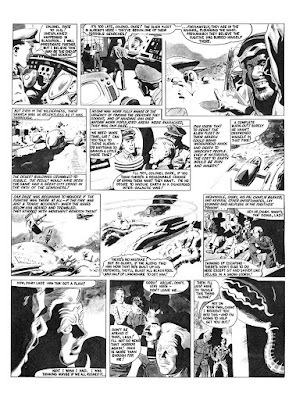 It was Pat Mills who piqued my curiosity as he's often championed girls' comics (and of course he created Misty for IPC 41 years ago). Going on Pat's recommendation I bought the first two years of Tammy and the second year of Misty from eBay sellers, along with a few copies of various other titles such as Diana and Bunty. Pat was right. 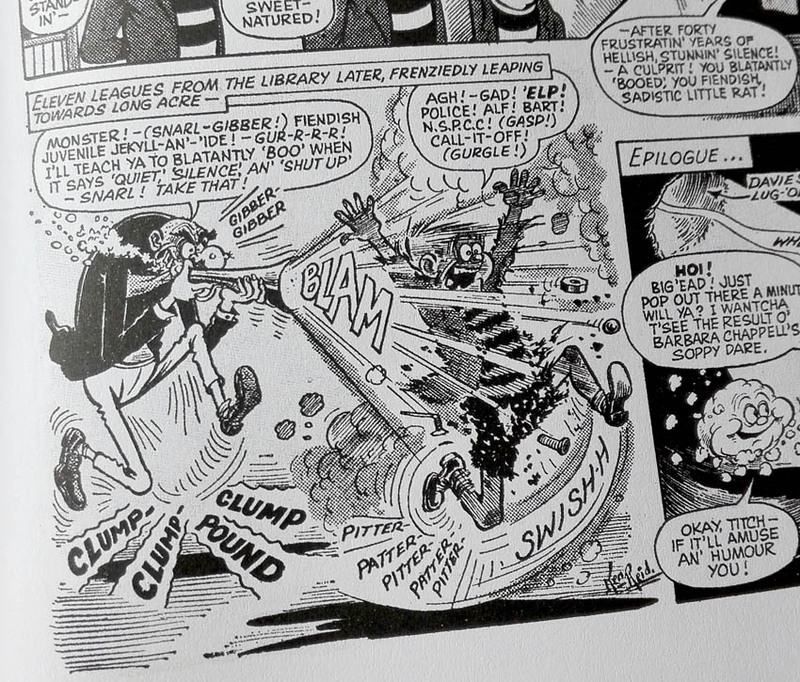 The stories in girls' comics often have more of an emotional punch, whereas boys' comics tended to be more about punch-ups. Subsequently the stories in comics such as Tammy and Misty engage the reader more with the character, rather than the conflict. The differences aren't always that simple of course but that's it in a nutshell. 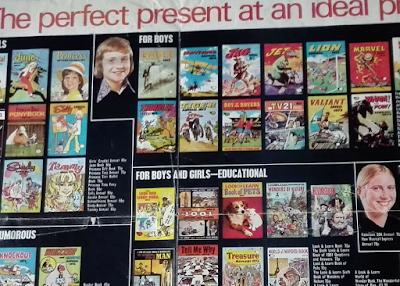 Obviously Pat and his fellow editors of those classic girls' comics knew what they were doing as sales were often higher than the boys' weeklies. It's tragic that the market has been lost, but Rebellion hope to try and reignite it this summer with a new Tammy and Jinty Special on 27th June! 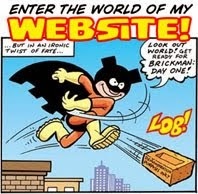 Pat's blog is worth visiting any day of course. 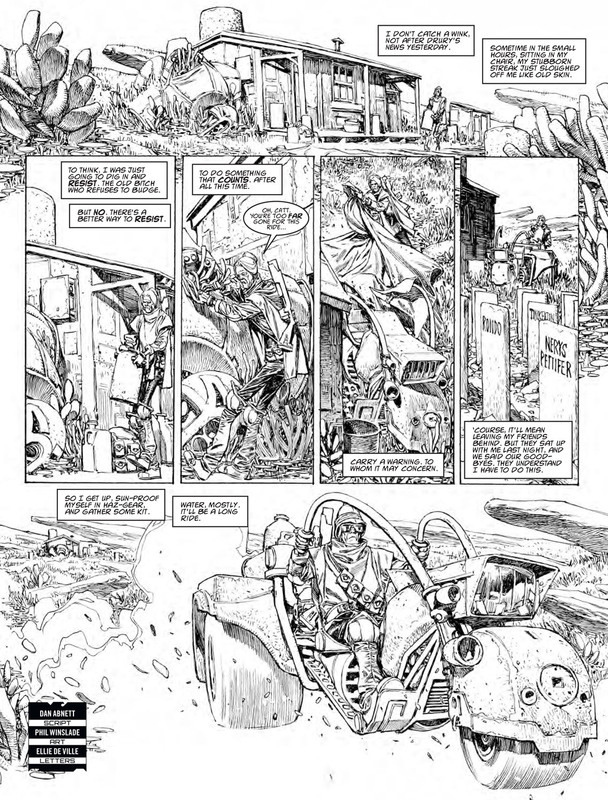 With over 40 years experience in comics his insights into his craft, and the industry, are essential reading. Don't forget to buy his books too! 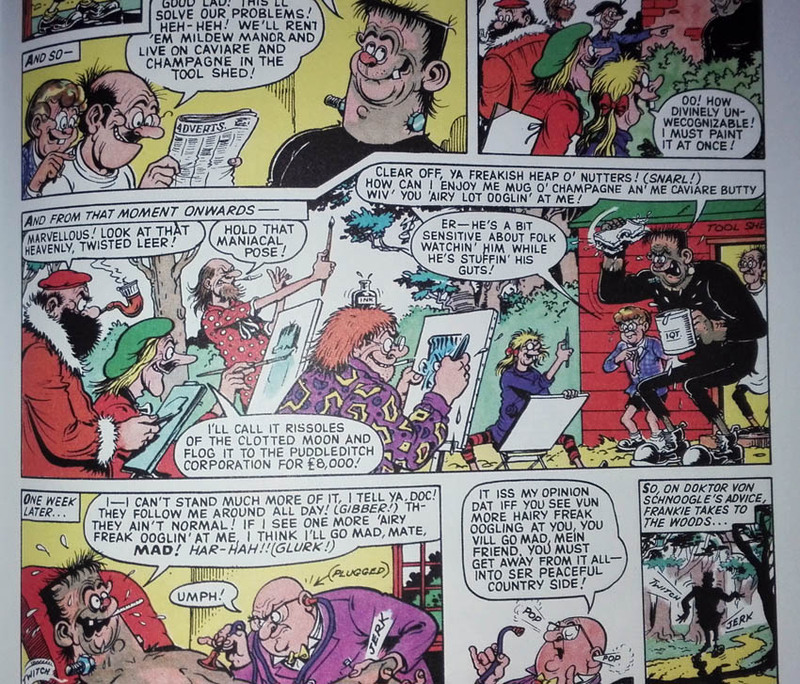 Read 'Em and Weep, a fictional story closely satirising the UK comics industry is brilliant. Two books at present, and unmissable! The March issue of Panini UK's The Mighty World of Marvel begins a new series with the arrival of Captain Marvel to its pages. 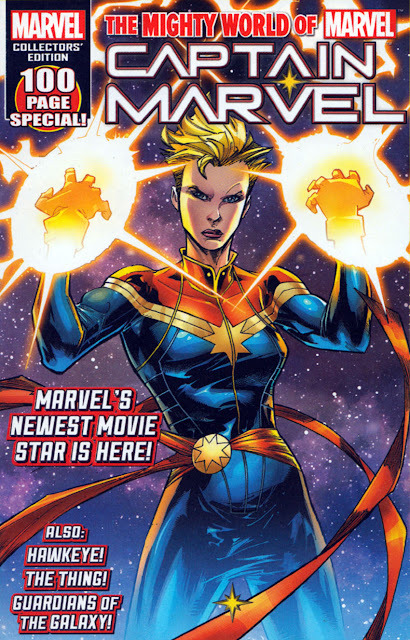 The 100 page comic reprints the first chapter of The Life of Captain Marvel by Margaret Stohl (writer) and artists Carlos Pacheco and Marguerite Sauvage which was published in the USA last year. 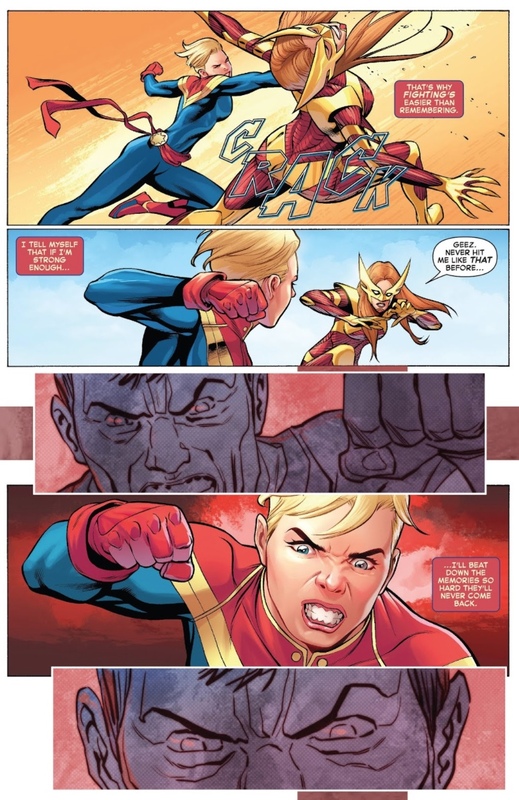 This is a wise move by editor Scott Gray as this issue of The Mighty World of Marvel goes on sale on Thursday 7th March, and Marvel's latest movie, Captain Marvel, opens in the UK the very next day. A great way to catch the eye of casual browsers in WH Smith and pull in new readers to the world of comics! The Mighty World of Marvel Vol.7 No.13 costs £4.99 and also features strips starring The Thing and The Human Torch, Guardians of the Galaxy, and Hawkeye. MWOM is published every four weeks. 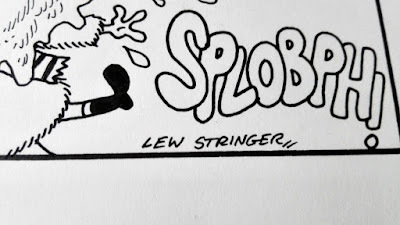 I'm pleased to announce that I'll be reuniting with my old comics pals David Leach and Lee Sullivan for Stoke-Con-Trent 10 on Sunday 14th April, my first convention for 2019. Looking forward to meeting up with readers old and new! Come along and join us! The venue is Staffordshire University, Stoke-On-Trent, a couple of minutes walk from the railway station. More guests to be announced soon! 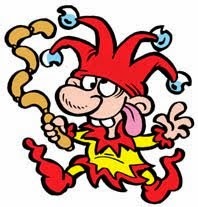 As you know, I'm not posting on Blimey! as often as I did, and the blog will end later this year, but I thought I'd give the latest Judge Dredd Magazine a plug because it's brilliant! 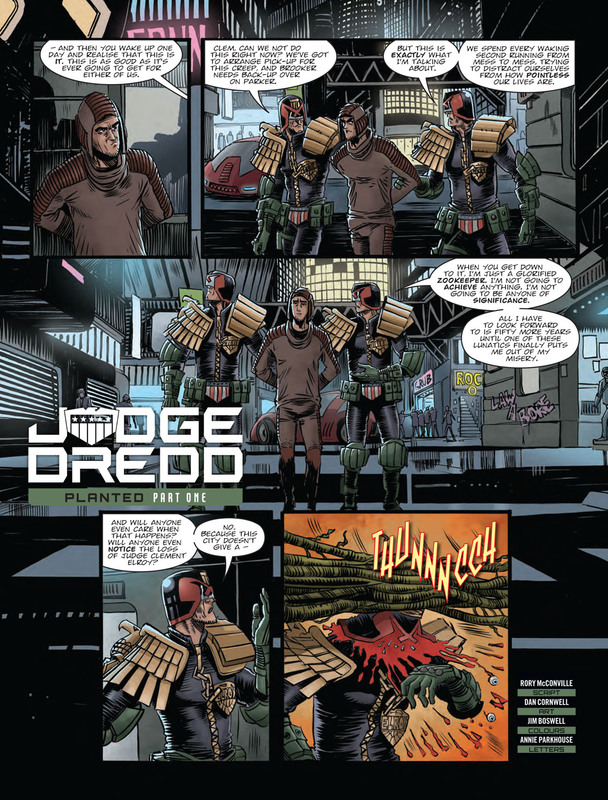 Judge Dredd Magazine No.405 is on sale this Wednesday, 20th February, and the comic is on top form these days. 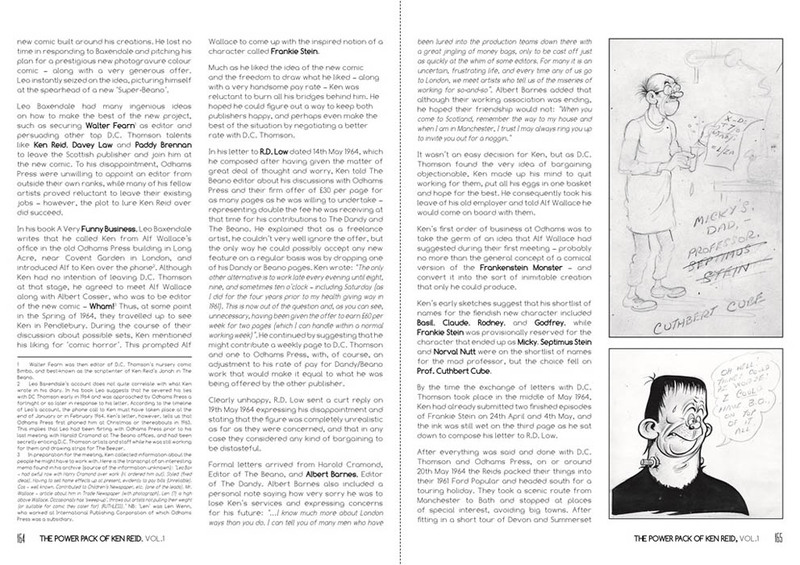 Just look at the sample pages shown here. Anyone who thinks British comics aren't as well illustrated as they used to be clearly isn't looking very hard. 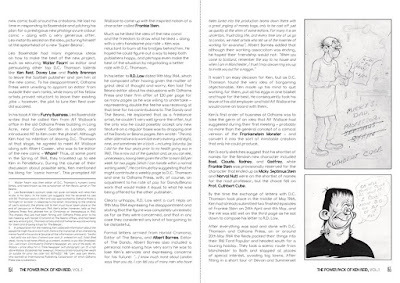 This issue also contains a nice tribute to the superb artist Ron Smith, who passed away recently. 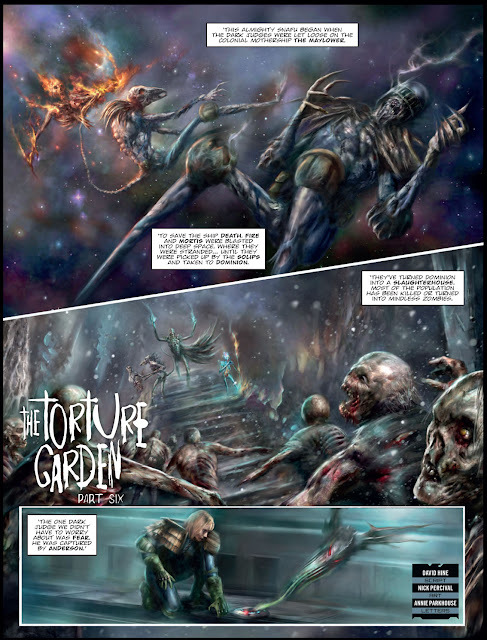 Anyway, without further ado, here's the info and sample pages. Don't miss it! It's almost 50 years to the week when IPC totally revamped Smash! 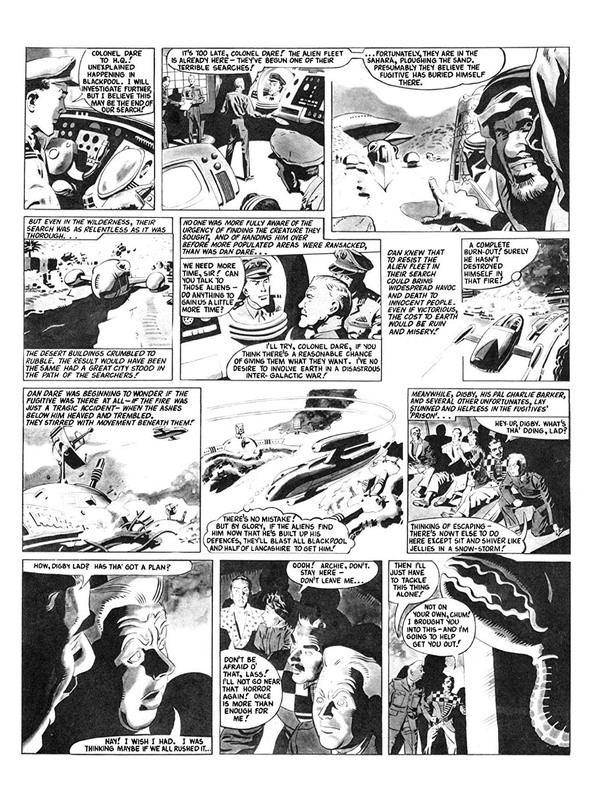 into an almost unrecognisable comic. 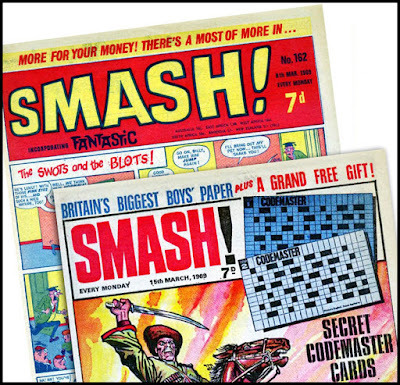 The new-look Smash! had its fans, but the changes were a step too far for some of us. I eventually warmed to it, but the unique comic it had been was sorely missed. 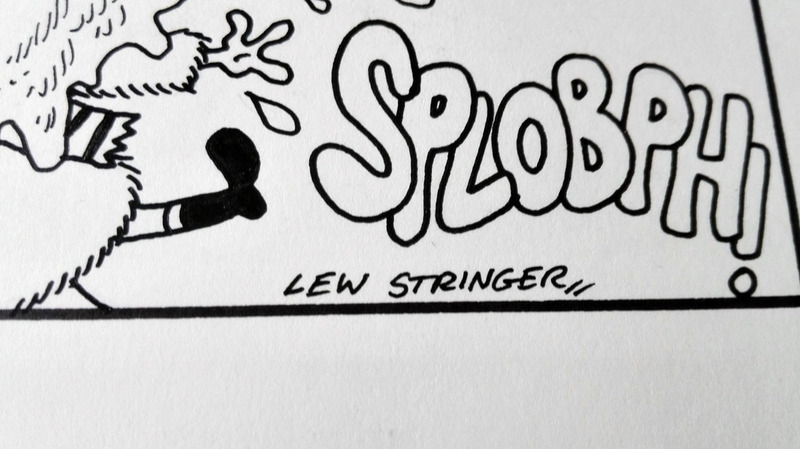 Incidentally, I've put The Swots and the Blots into a cameo appearance in the all-new Cor!! 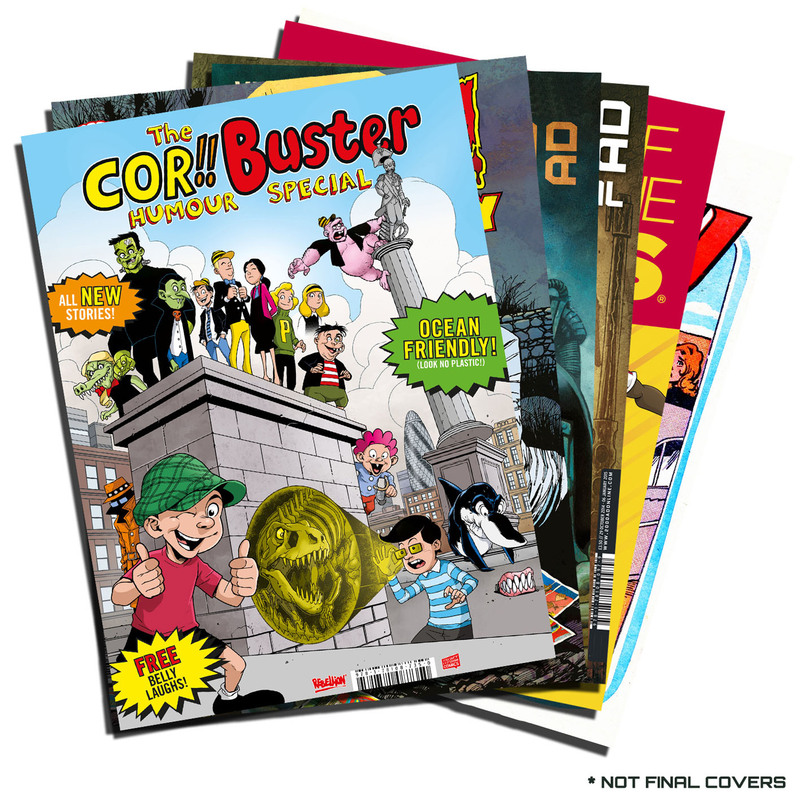 and Buster Special, on sale 17th April! EIGHT new specials coming our way from Rebellion this year! Rebellion Publishing have just announced the titles of the specials they'll be publishing this year... and there are more than we expected! We already knew about some, such as the Cor!! 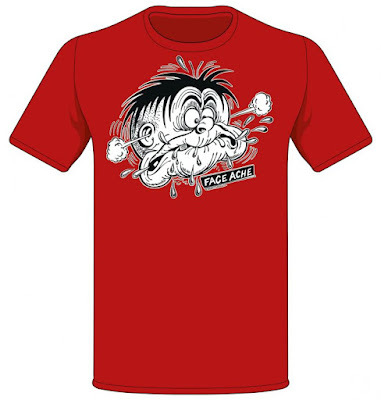 and Buster Special and the 2000AD Villains Takeover Special but there will also be several more! 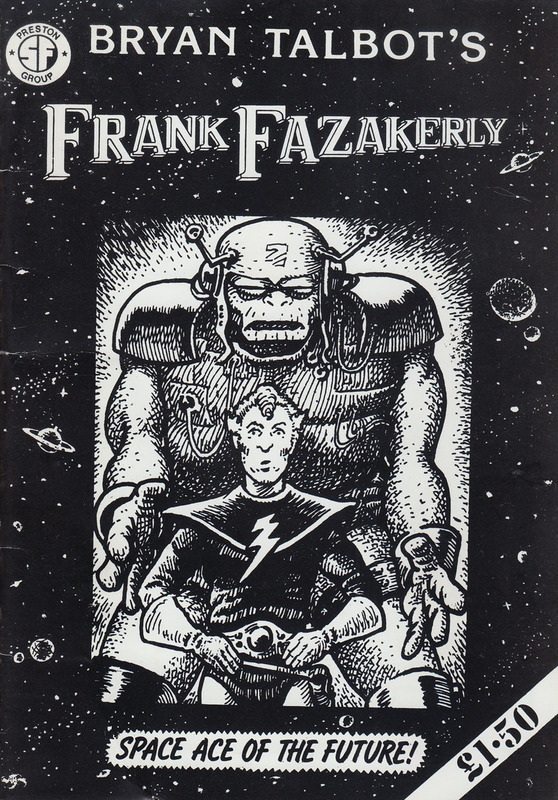 The supplied image states that these aren't the final covers. Hopefully the Cor!! 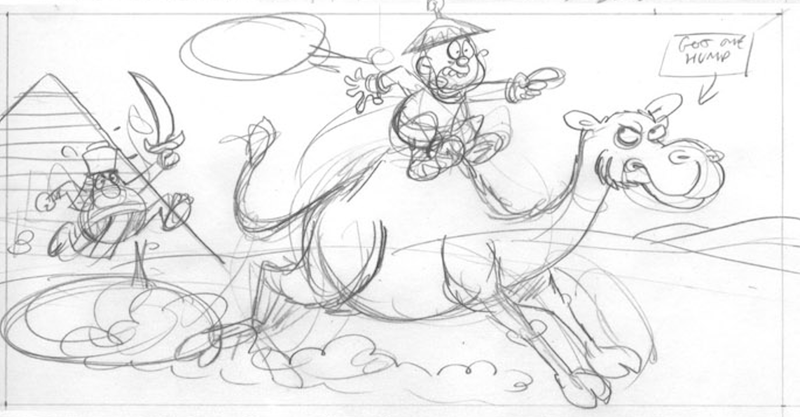 and Buster Special will use the original logos (which were very strong and stylishly timeless). 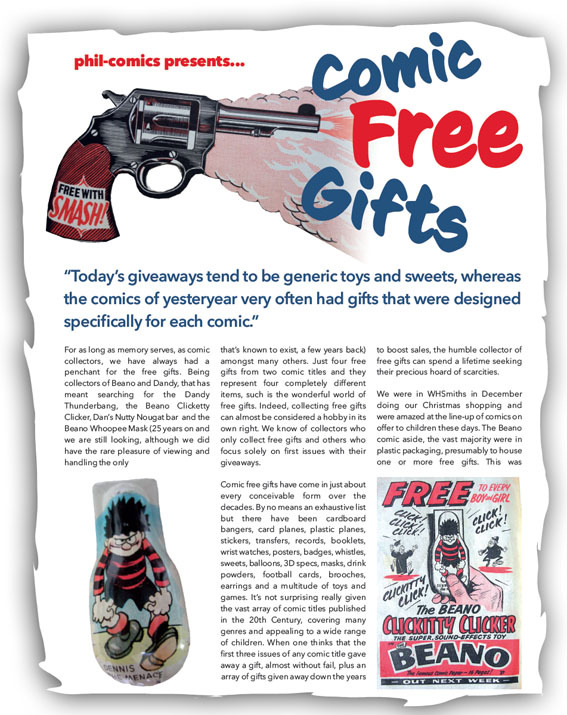 Rebellion is making holidays special again this year with a whole slate of classic comic book specials for new readers and nostalgic parents alike! We're resurrecting some of the most beloved comic books in British history – from humour to football, from superheroes to girls’ comics, they'll be packed with all-new material! 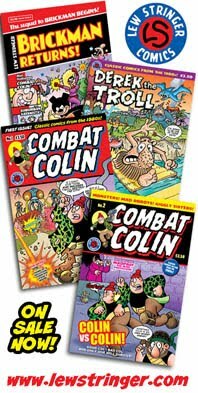 SEVEN new specials will be storming the newsstands between April and October, each one honouring a different part of the British comic industry - the Cor!! 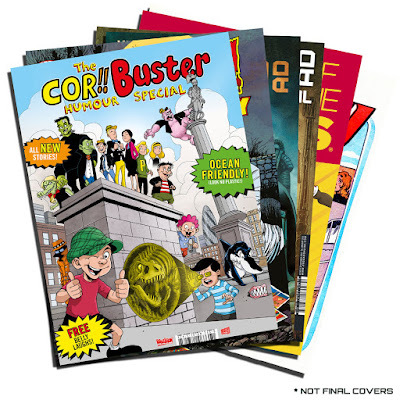 and Buster Special, 2000 AD Villains Takeover Special, 2000 AD Regened, 2000 AD Sci-Fi Special, Tammy and Jinty Special, The Vigilant, Roy of the Rovers 65th Anniversary Special, Scream and Misty Presents The Thirteenth Floor. Buster and Cor!! were two of the biggest humour comics in Britain – and now they’re back and they’ve brought their friends! The 48-page Cor!! and Buster Special will hit newsstands in on 17th April, retailing at £4.99. 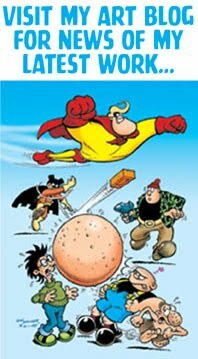 From the world’s naughtiest baby, Sweeny Toddler, to Gums, the most incompetent shark in the seven seas, this one-shot special will feature top comics talent including a cover by Neil Googe (The Flash), and strips by Ned Hartley (Star Wars), Cavan Scott (Doctor Who), John Freeman (Crucible), Lew Stringer (Combat Colin), Abigail Bulmer (2000 AD) and Tanya Roberts (TMNT)! On 8th May, the kids are taking over as 2000 AD gives way to 2000 AD Regened – a one-off special issue of the Galaxy’s Greatest Comic intended for all ages! Following the massively successful Free Comic Book Day issue of Regened in 2018, the pint-sized anti-heroes return for another bumper Prog for kids of all ages and species! 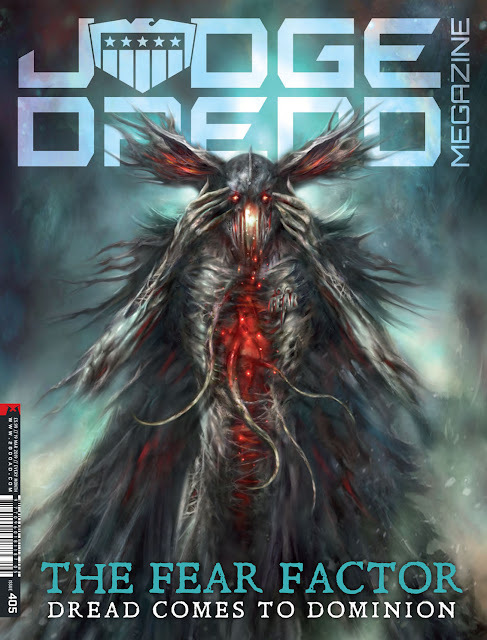 2000 AD Prog 2130 will be 100 packed pages, retailing at £4.99 from all good stockists! In 2018, the comics world lost one of its best creators – Carlos Ezquerra. This June, the 2000 AD Sci-Fi Special will pay tribute to the co-creator of Judge Dredd and Strontium Dog with a special issue focusing on some of his greatest moments. 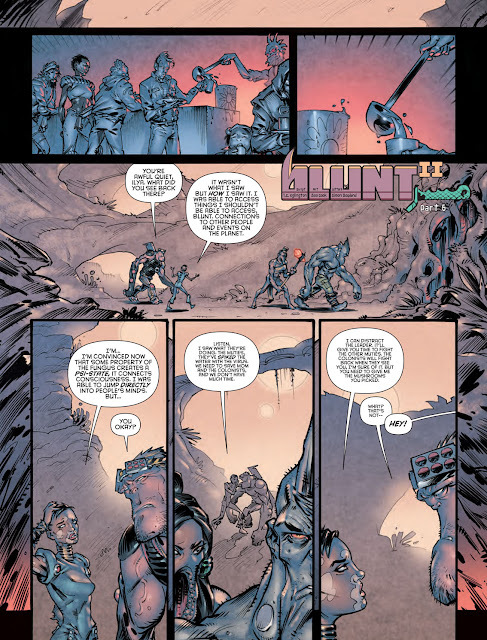 It will also include his unpublished work on Specter, a new series he was working on with long-time collaborator John Wagner. 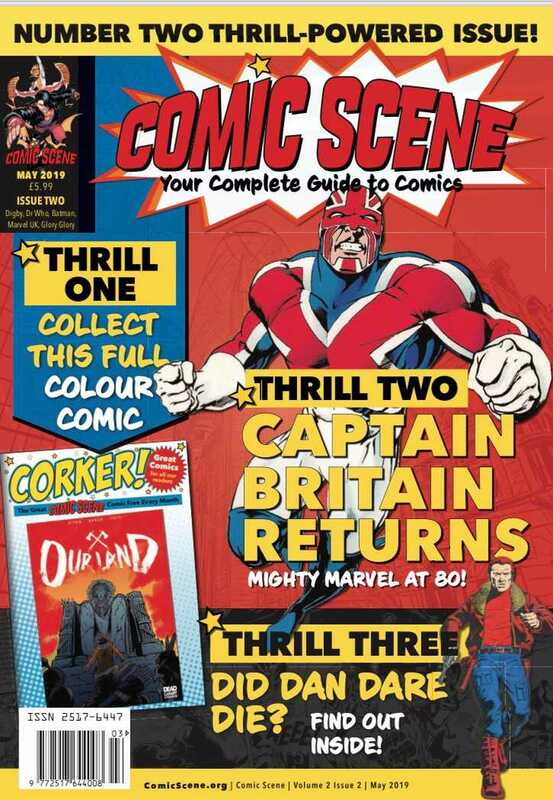 The 48-page special hits shelves on 19th June at £4.99. 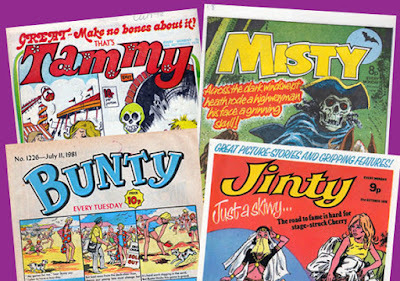 In the 1970s and 1980s, comics aimed at girls outsold those aimed at boys – and Tammy and Jinty were two of the biggest titles. This June, these classic titles return, retooled for the 21st Century and with a host of new creators producing high-quality strips that pay tribute to the legacy of trail-blazing comics while introducing a new audience to the medium! The 48-page Tammy and Jinty Special lands on 27 June, priced at £4.99. 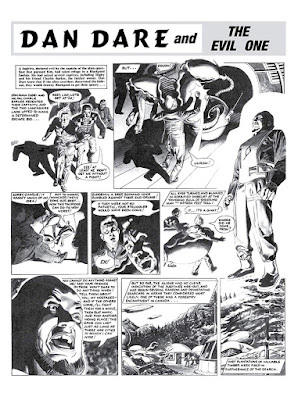 And in time for Hallowe’en, the Scream and Misty Presents The Thirteenth Floor arrives on 16th October with a 48-page £4.99 special filled with the best chills that British comics can deliver! 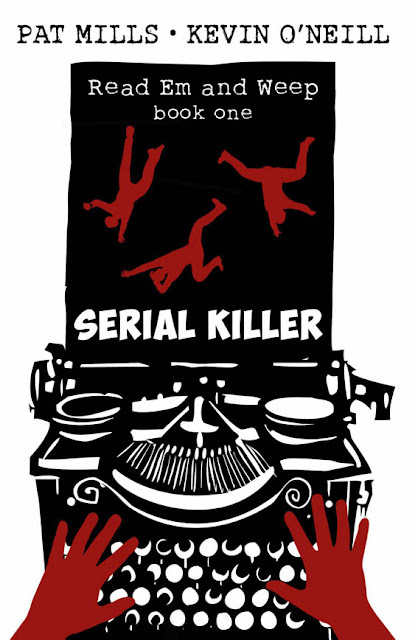 Created by John Wagner, Alan Grant, and José Ortiz, The Thirteenth Floor is where the homicidal caretaker computer Max puts those he doesn't like – a mysterious floor of the tower block he controls where he keeps their worst fears. Few, if any, survive if they get on Max’s wrong side! 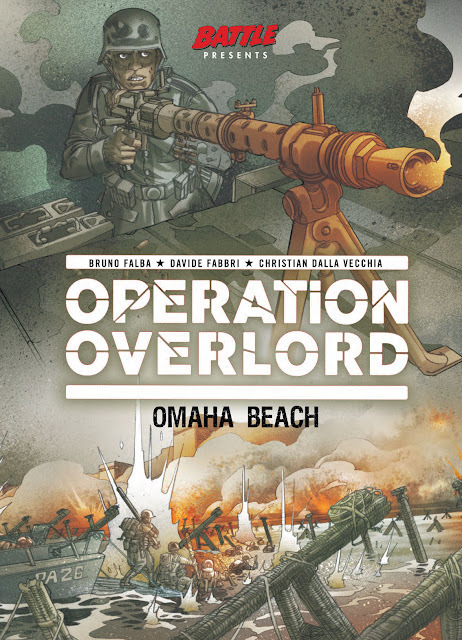 All the Rebellion specials will be available from good newsagents, as well as comic book stores via Diamond Distribution, and through 2000 AD’s webshop and apps. A mock up by me, using the original logos. 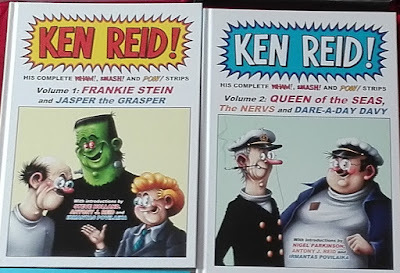 Humour is subjective of course, but I've never met anyone who grew up on the work of Ken Reid who didn't think he was a genius. 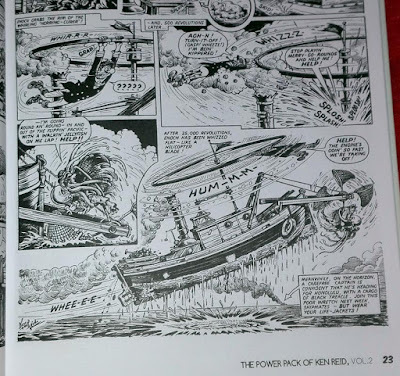 As far as I'm concerned, Ken produced the funniest strips ever seen in British comics; in particular his 1960s work for Odhams when he was at his peak. 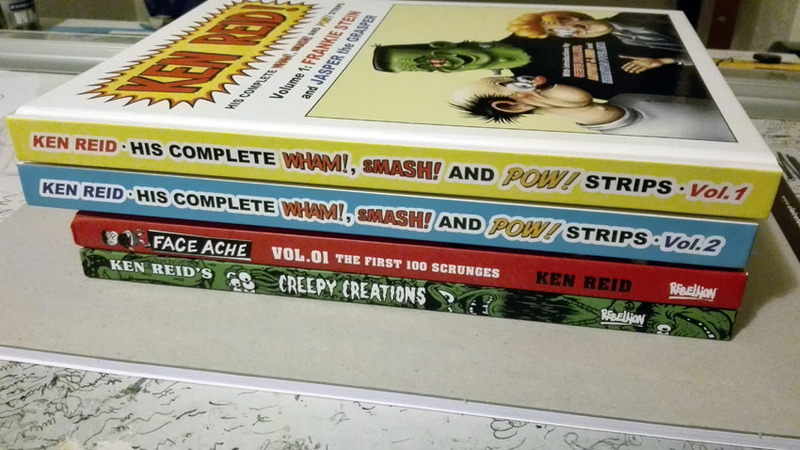 Last year, Ken's entire output for Odhams was collected into two quality hardback books published under license by Irmantas Pavilaika. Volume 1 collects all of Ken's Frankie Stein and Jasper the Grasper strips that appeared in Wham! 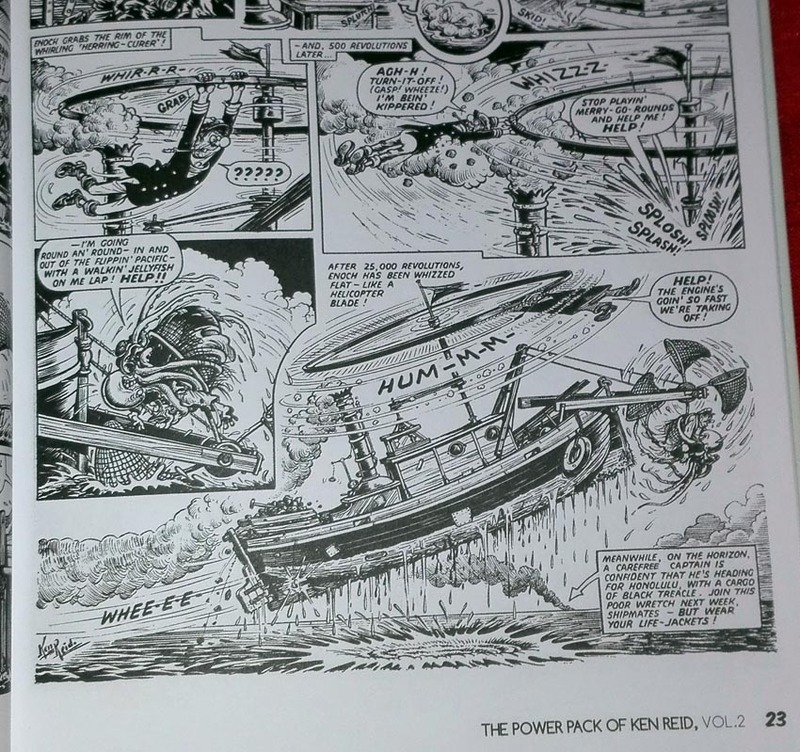 and Volume 2 features the complete Queen of the Seas and Ken's stint on The Nervs that he did for Smash! and the complete Dare-A-Day Davy that appeared in Pow! 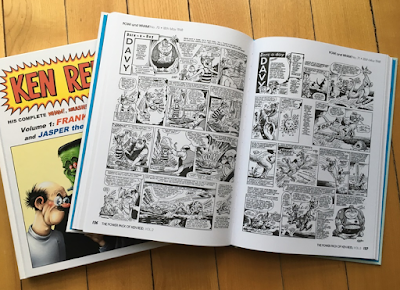 Under the title The Power Pack of Ken Reid, the two volumes feature excellent printing and reproduction of those classic strips, and also carry bonus feature pages with exclusive never-before seen artwork from Ken Reid! Each book contains 200 pages of top quality material and are the definitive collections of a great comics creator at his very best. The volumes deserve a place on your bookshelves, so don't miss out! ...and there's even a Faceache T-shirt available now! 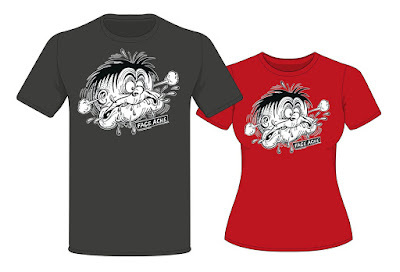 Order that from the Treasury shop too!